Registration for Spring Youth Programs and Summer Camps is Open! For more than 39 years UNCW MarineQuest, in conjunction with the Center for Marine Science and the Watson College of Education, has provided exciting academic enrichment opportunities for young people interested in the marine environment. 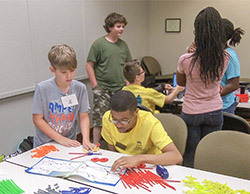 Engineering Expectations is UNCW’s official preK-12 engineering outreach program. 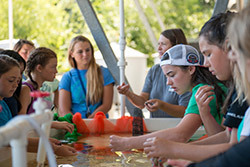 The program provides opportunities for students to explore and engage in Science, Technology, Engineering and Mathematics through hands-on camps, school and weekend programs. Registration for Summer 2019 Engineering Expectations programs opens February 18!